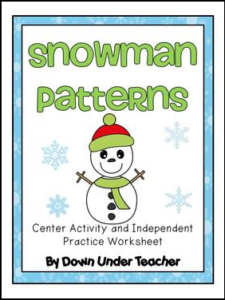 This 10 page freebie comes with a making patterns center activity and an independent practice worksheet. Please consider leaving feedback if you download. For more ideas and freebies, you are welcome to check out my blog http://downunderteacher.blogspot.com.au/ or check out the other freebies in my store. The super cute snowman images are by Graphics From the Pond.